This question was posed by Mr Justice John O’Hara during the last month of the public hearings of Northern Ireland’s child fluid death inquiry in November 2013. This gets to the heart of what many of the bereaved families are waiting for the inquiry to answer when it publishes its report this week, more than 13 years after it was first announced. The public inquiry was set up to investigate how five children died of hyponatraemia-related conditions in hospitals across Northern Ireland between 1995 and 2003. Hyponatraemia is a condition that can occur when the level of sodium in the blood becomes abnormally low. The inquiry was set up to establish if the condition was brought on by mistakes in administering excessive intravenous fluids and if the health trusts invovled covered-up the true cause of deaths. However as the public hearing got under way in February 2012, it was clear that this inquiry would have to wrestle with much more than this. The issue of why lessons were not learned and why some of the child deaths were not appropriately sent to the coroner for independent scrutiny emerged as an area of great concern for the inquiry chairman. Questions were also raised about the coroner's handling of the deaths and failing to warn of the dangers of fluid mismanagement. 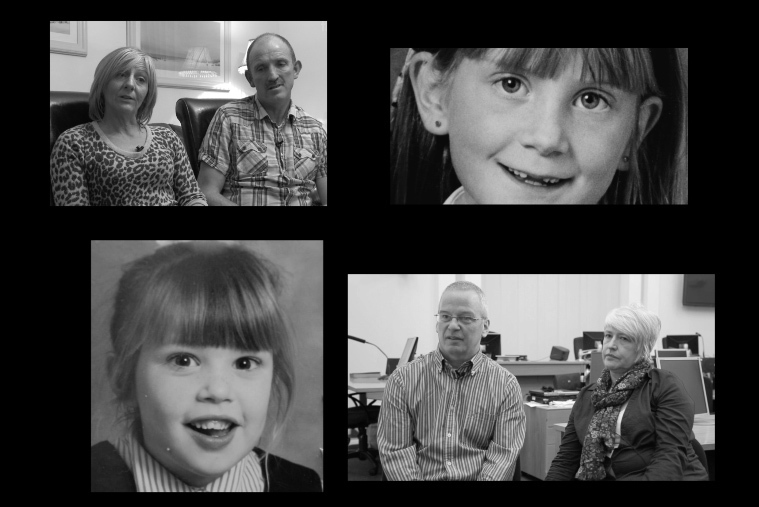 In 1995 just months after the closure of an inquest into four-year-old Adam Strain, the first child death to occur, nine-year-old Claire Roberts died at the Royal Belfast Hospital for Sick Children (RBHSC) in 1996. She was admitted to hospital following vomiting and drowsiness. Doctors prescribed intravenous fluids. Two days later, Claire suffered a respiratory arrest and died. In the immediate aftermath, her death was wrongly certified, the coroner wasn't contacted and it wasn’t even flagged up to all the appropriate senior personnel within the health trust or the Department of Health. 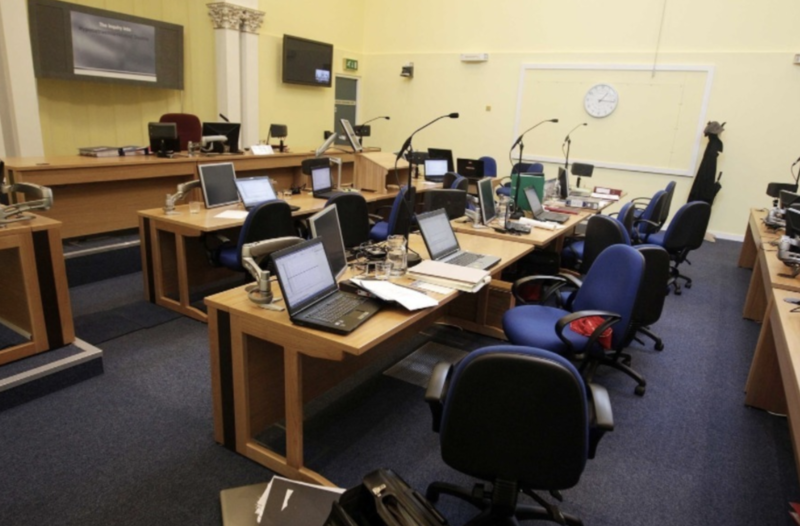 Mr Justice O’Hara addressed this very issue when questioning Northern Ireland’s former Chief Medical Officer, Dr Henrietta Campbell, at the oral hearings on 7th November 2013. At the public hearing that day Claire’s mother Jennifer gasped and wept as more details emerged around the lack of action taken in the aftermath of her daughter’s unexpected death. Also present that day were the family of nine-year-old Raychel Ferguson. Like the Roberts, they attended virtually every one of the 148 days at Banbridge Court House where the public hearings took place. Raychel died in 2001 after having been initially treated in Altnagelvin hospital in Derry. During the public hearings in July 2013 it emerged that unseen documents concerning Raychel’s treatment had now only been uncovered by the Western Trust. Just last week, The Detail reported on new allegations emerging from a whistleblower that material relating to Raychel's case may have been withheld from the inquiry. Department of Health lawyers stressed that a probe by health authorities found no evidence to support the claims, but the Ferguson's lawyers have passed the matter onto the police. The whole incident is just the latest example of how contentious and complex this public inquiry has been. The inquiry also examined the deaths of four-year-old Adam Strain, Lucy Crawford who was 17 months and Conor Mitchell who was 15 when he died. By the time the public hearings had ended in November 2013 the health trusts had either apologised or admitted liability in each of the child deaths. Each day that an apology was made or liability was accepted there was a definite sense of relief from the families that were present at the public hearings. However speaking to a number of the families within the last couple of weeks, the issue of whether or not information was intentionally withheld from them about their children’s deaths is still at the forefront of their minds. The question of cover up still looms large. The inquiry has now come full circle. It was the 1st November 2004 when Angela Smith MP, a direct rule Minister, announced that she had appointed Justice John O'Hara to conduct the Hyponatraemia Inquiry as a result of issues raised by the UTV Insight programme- 'When Hospitals Kill'. Since then we have seen five Health Ministers come and go, and with the Northern Ireland Assembly currently collapsed, when the report is published on Wednesday it will be done so once again without a local sitting Health Minister nor a Direct Rule Minister to act on any recommendations made. The terms of reference of the report envisaged Mr Justice O’Hara publishing his final report in June 2005. However a police investigation and several delays before and during the public hearings have meant that progress has been painfully slow. On top of that it has taken over four years from the end of the public hearings for Mr Justice O’Hara to now be in a position to finally publish his report. After 179 witnesses, 12,634 documents and at a cost of £15million, the reaction of the families will be the best measure in determining whether or not it was worth the wait.